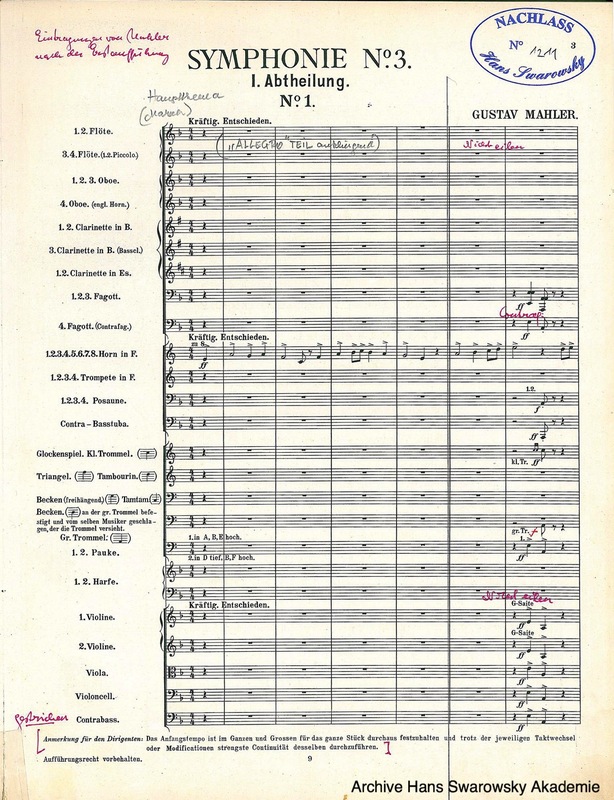 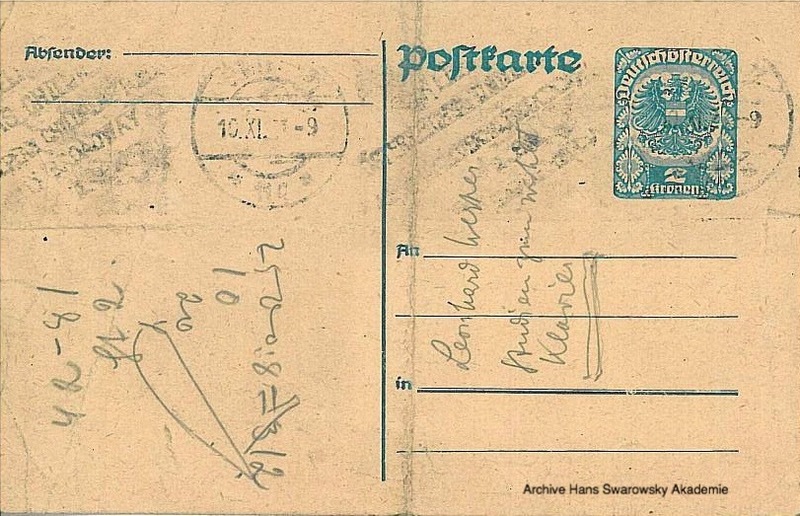 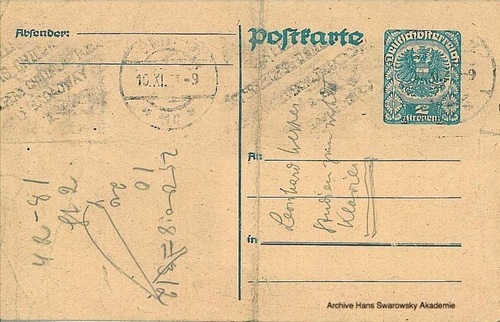 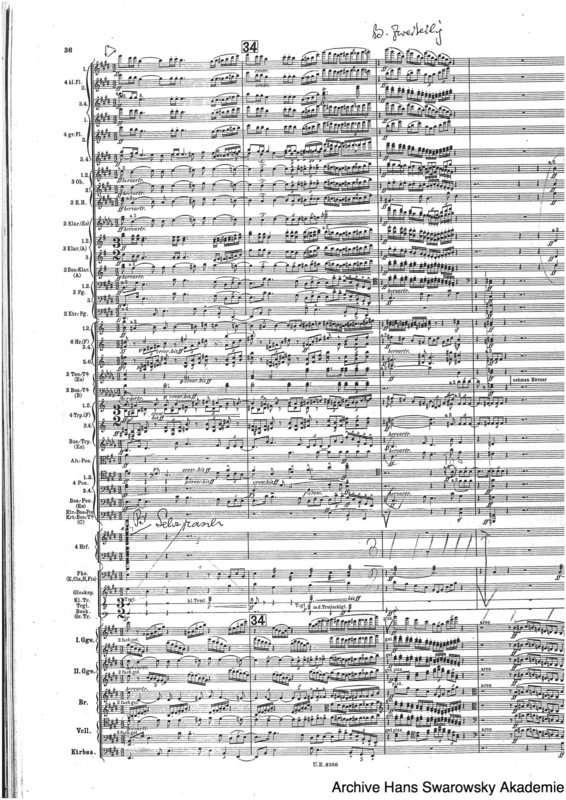 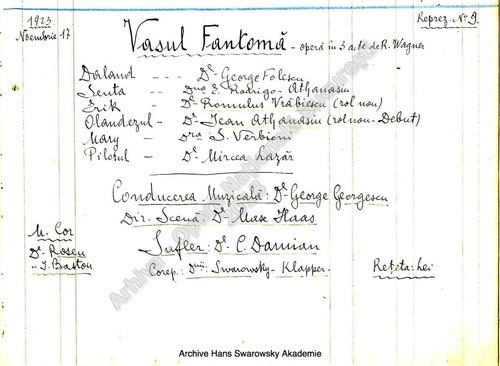 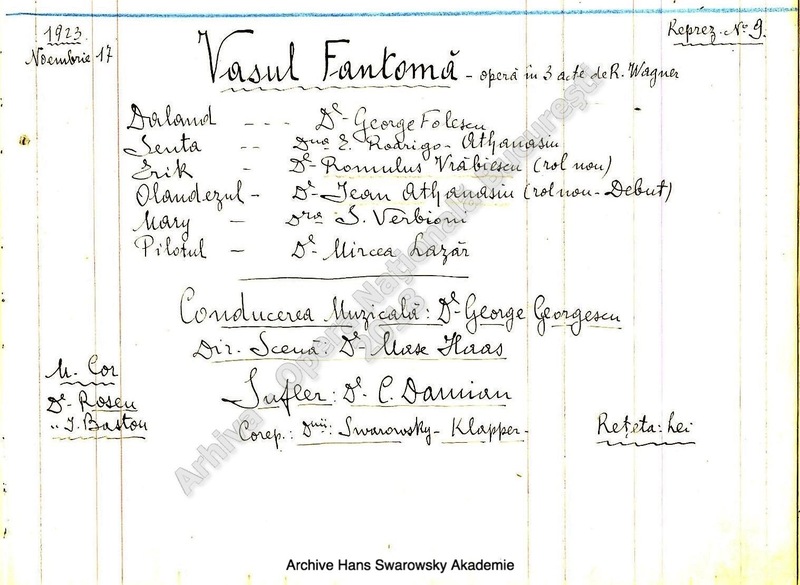 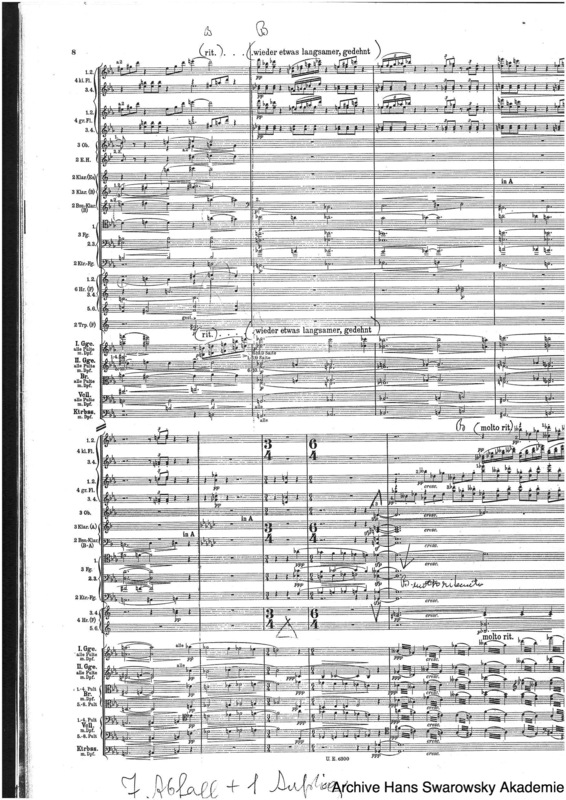 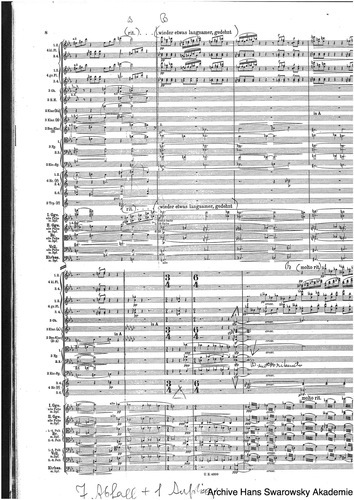 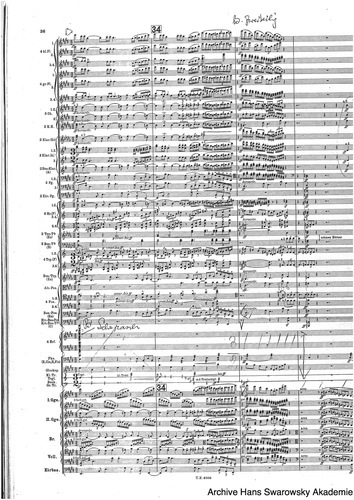 In April 1920, Swarowsky hears Mahler’s third symphony for the first time (conducted by Furtwängler) and due to this impression decides to become a conductor – this symphony should take a special place throughout his entire life; for his 21st birthday, Julia Laszky acquires an Edition of Mahler’s 3rd symphony from Universal Edition as a birthday present; Swarowsky will conduct from this score throughout the rest of his life. 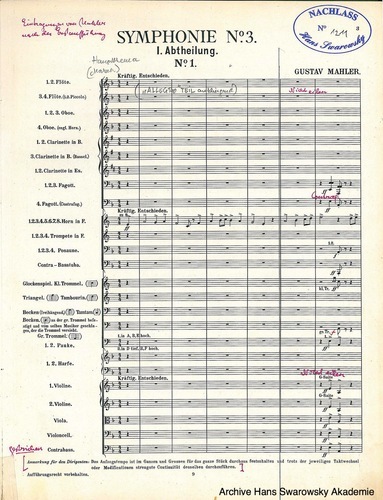 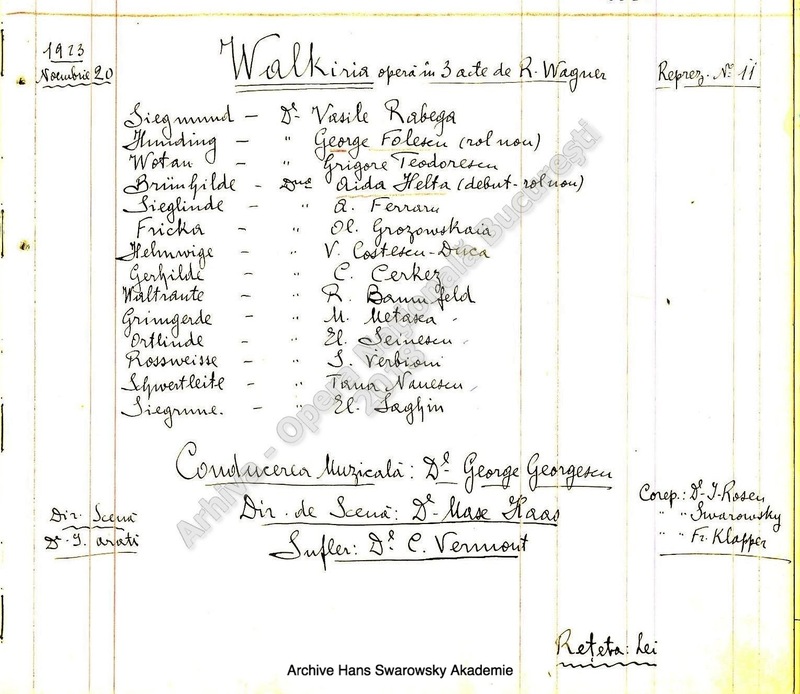 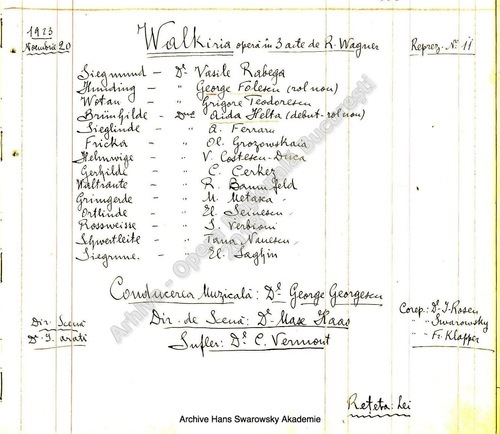 This score (first edition) contains corrections Mahler made after performances conducted by himself. 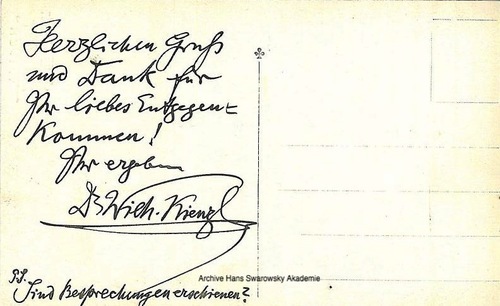 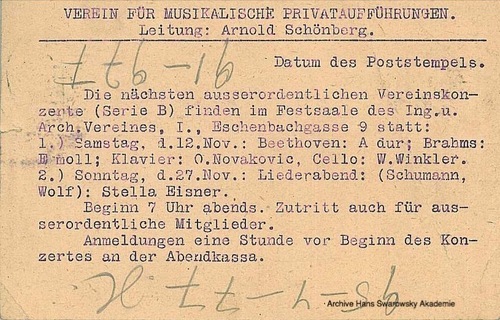 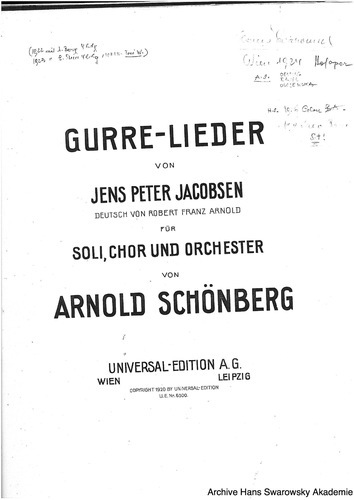 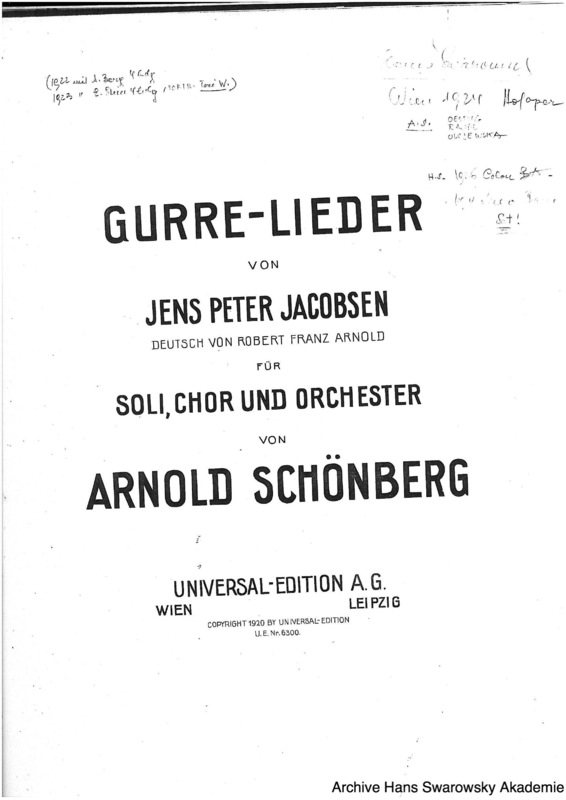 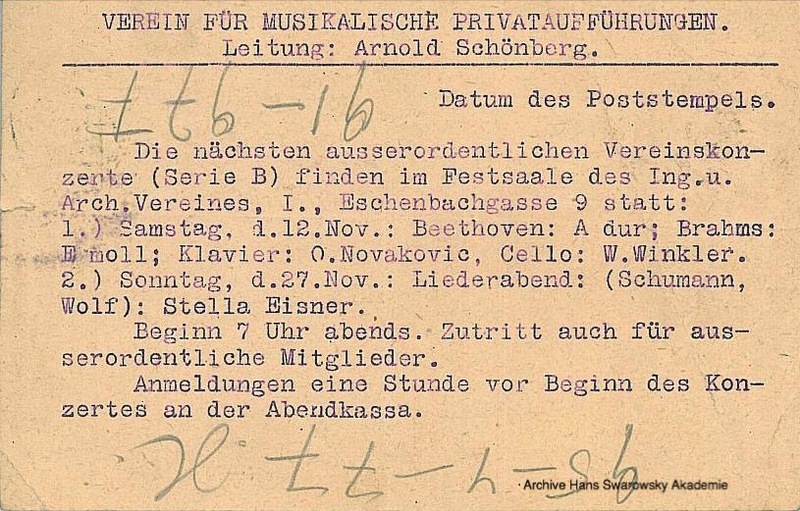 Swarowsky had private lessons with Schoenberg since hearing Schoenberg in rehearsals of the Gurre - Lieder. 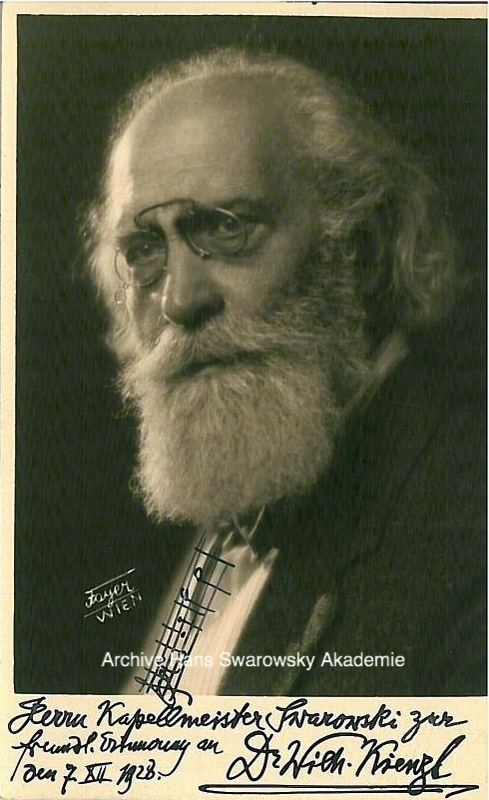 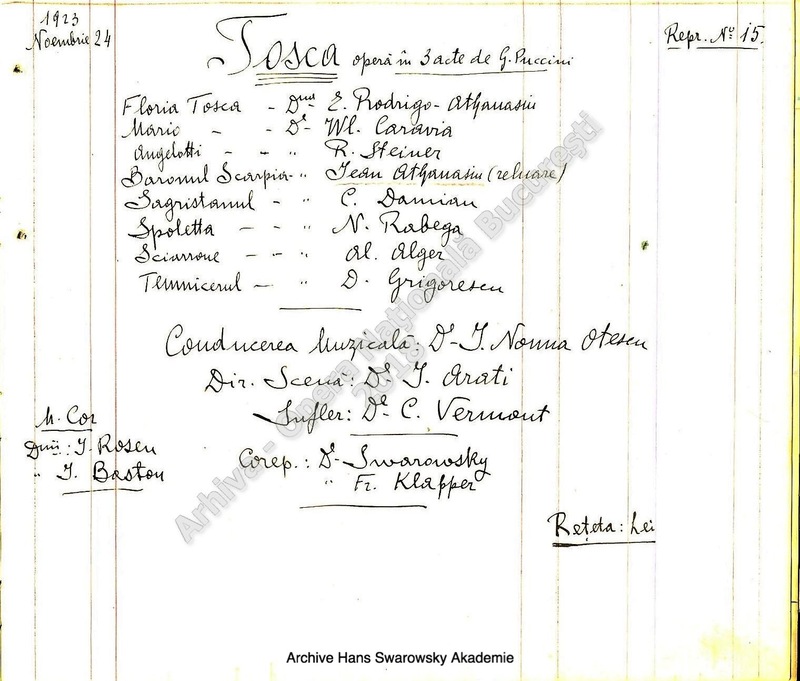 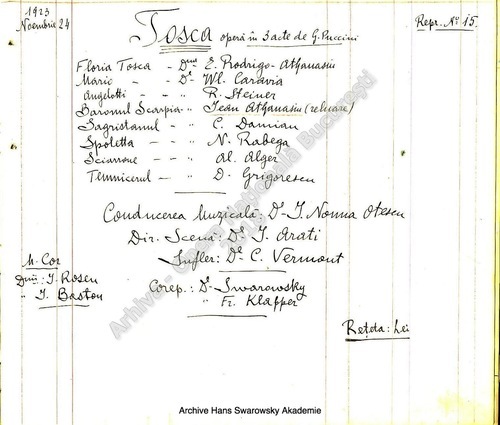 Subsequently in 1920, subesquently Swarowsky also took part in Schoenberg's 'society' concerts, playing piano and harmonium.